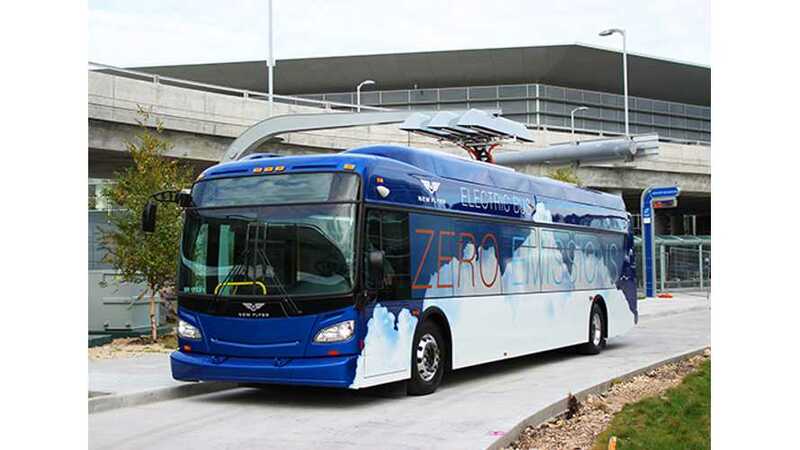 New Flyer Industries recently unveiled two new zero emission buses at the American Public Transit Association Expo tradeshow in Houston, Texas. Both are based on the Xcelsior series. The 40-foot XE40 all electric bus is available with lithium-ion battery packs that are scalable from 100 to 300 kWh depending on customer needs. Drivetrain comes from Siemens, while charging systems are provided by Eaton. To date, New Flyer already produced six XE40 and five of them should enter service in the coming weeks. The second vehicle is X60, the first ever North American designed and built zero-emission 60-foot battery-electric/fuel cell bus. Drivetrain is also supplied by Siemens, while fuel cell power plant comes from Ballard Power Systems. There is also a small battery pack because fuel cells need to operate at a relative steady-state to be efficient, while the batteries will be able to both capture breaking energy and provide power for acceleration. New Flyer has been working on fuel cell technology since 1995 when it delivered the first 40-foot hydrogen fuel cell bus in North America. "New Flyer has partnered with Ballard Power Systems Inc., and Siemens on a bus that will be operated by Connecticut Transit (CTTransit) for 22 months of in-revenue-service operations. Ballard will supply a next-generation fuel cell power plant that is smaller, lighter and lower in cost than existing models. A key step in the commercialization will be to complete a full Altoona durability and performance test as part of the US Federal Transit Administration (FTA) Bus Testing Program. Upon the success of this program, New Flyer will offer this vehicle to customers throughout the United States and Canada."